Corrie Cooperman graduated from the Four Winds LightBody School in 2004 and has been an active shamanic practitioner in Sedona, AZ and at The Sanctuary at Sedona. Her work is enhanced by her knowledge of health and wellness from her studies as an R.N. and coursework in Functional Medicine. Corrie has had extensive training in the use of intuition which provides additional clarity and focus to her work. Alongside her practice as an energy healer, Corrie has had a longstanding practice as a professional astrologer. 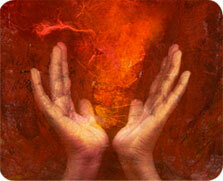 Many people enjoy and benefit from the combination of her astrology readings and shamanic sessions. She is certified in AstroCartoGraphy, and holds a B.S. in Nursing.